My new life in my old city has proven to be quite interesting. As luck would have it, I met one girl a few weeks prior and we have become great friends. Add to that, a few women who read my blog have come to Florence for a visit and want to meet up with me. So I have been busy meeting new people, confiding in them, and receiving a lot of wisdom, joy, and support in exchange. Dave and I have decided to go our separate ways. He left for the US this morning, and I will be staying in Florence. The apartment now seems quite empty without him here, but I have to get used to his absence and learn to live alone again. In this way, I hope to find my happiness, which seems to be hiding behind a few dark clouds, once again. I've been walking around centro (downtown area) a lot lately and have finally admitted to myself that Florence is overcrowded with tourists. I avoid the front of the Duomo as much as possible because I can't seem to not ruin someone's picture or bump into people backing up as they look around. 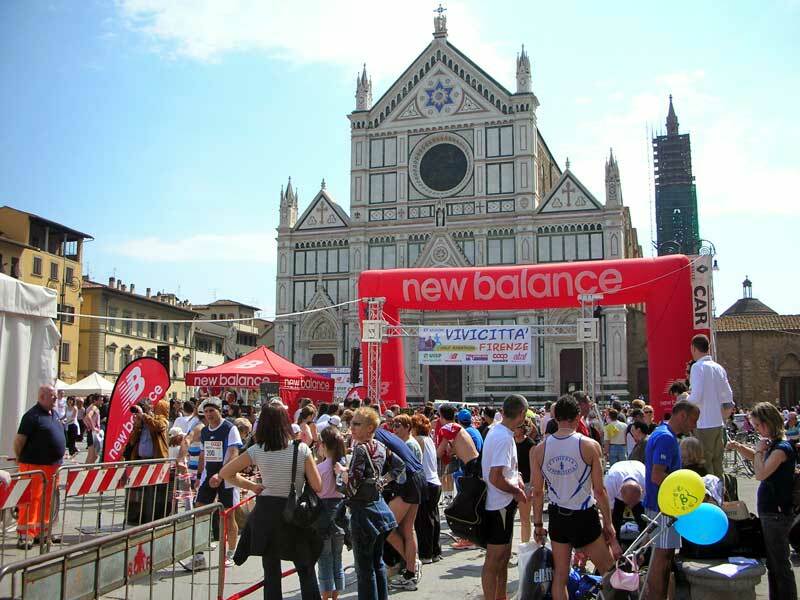 Today there was a half marathon (21 km) around the city of Florence organized by Vivicitt�. The gara (race) started and finished in piazza Santa Croce. My friend Simone decided he wanted to run it just a few days ago. He asked me, but I haven't run outside in ages and I didn't think I could do a half marathon. With my sister and her family, we've been eating dinner out almost every night during their stay in Florence. When I was in Paris, I had a hard time enjoying the food as I think I'm now more used to Italian cooking. I was unable to appreciate it to its fullest as I had in previous visits. 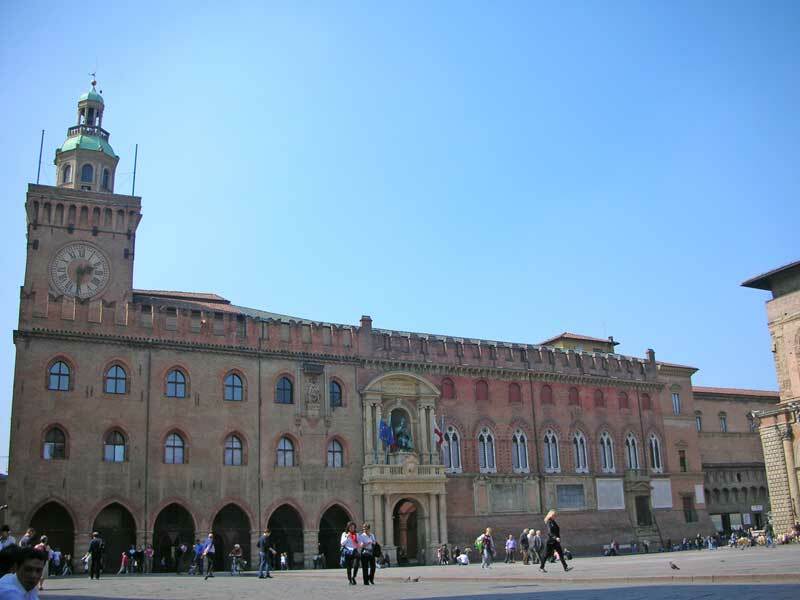 I hadn't been to Bologna since my first extended trip to Italy in 1996. 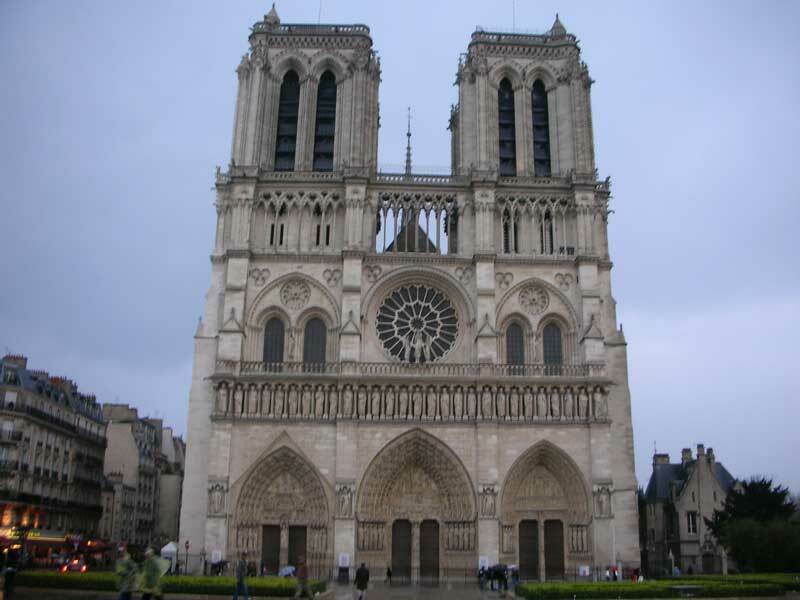 A lot of my friends have told me how beautiful it is and I remember having quite fond memories of my visit. We were trying to think of a place to go that wasn't far from Florence and since my sister and her family have already visited a lot of Tuscany other times, Rome, Cinque Terre, and Venice, so we decided to go to Emilia-Romagna for a small change. Yesterday we took a flight back to Pisa. I usually never take the train from Pisa to Florence only because I like that we don't stop and that it's very comfortable. For the first time, it was actually completely full; one girl had to sit in the front where staff people generally sit. I felt excited about returning to Florence during the trip and just couldn't help but look out the window. Today was the best day I had in Paris. I was able to spend the day with my eight-year old niece alone. It was such a treat to take her around the city and spend some time with her. She's one of the people I truly miss the most, and I'm trying to spend as much time with her as I can while she's here visiting me. 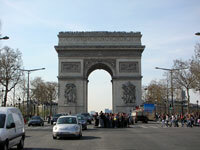 Today, I met up with one of my best friends at a restaurant on Avenue de la Grande Arm�e, which is a large avenue that heads toward La D�fense from the Arc de Triomphe. I arrived a little early after taking the m�tro, so I sat on a park bench to take in the city. I used to cross the Champs Elys�es quite often and never really noticed all the cars, scooters (which are new since I lived here), motorcycles, and trucks. The sounds of the city are deafening: horns honking, breaks screeching, and sirens blaring. A few people walked by, but not many were talking. 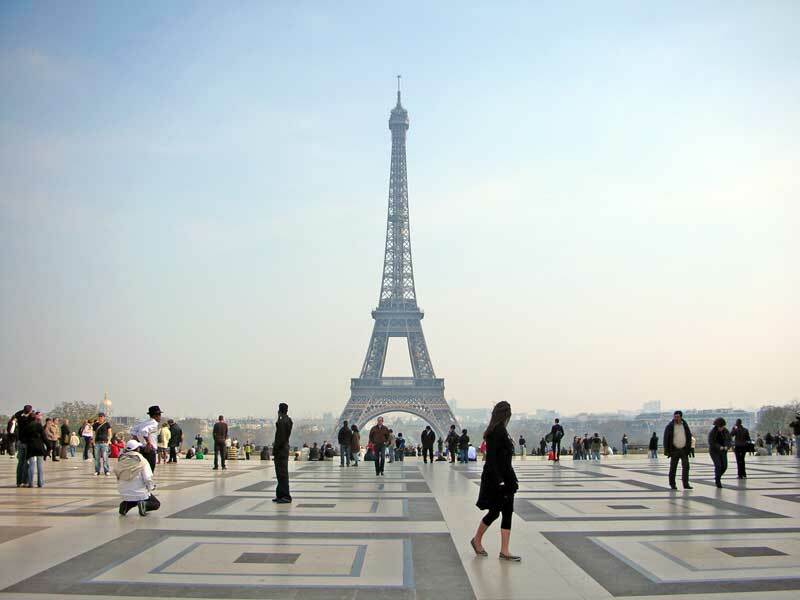 No visit to Paris is ever complete without seeing the Eiffel tower. We were planning on taking the elevator up to the second and possibly third level, but the wait was too long this afternoon, so we just walked up to it and then walked to Trocad�ro, where I took this photo. 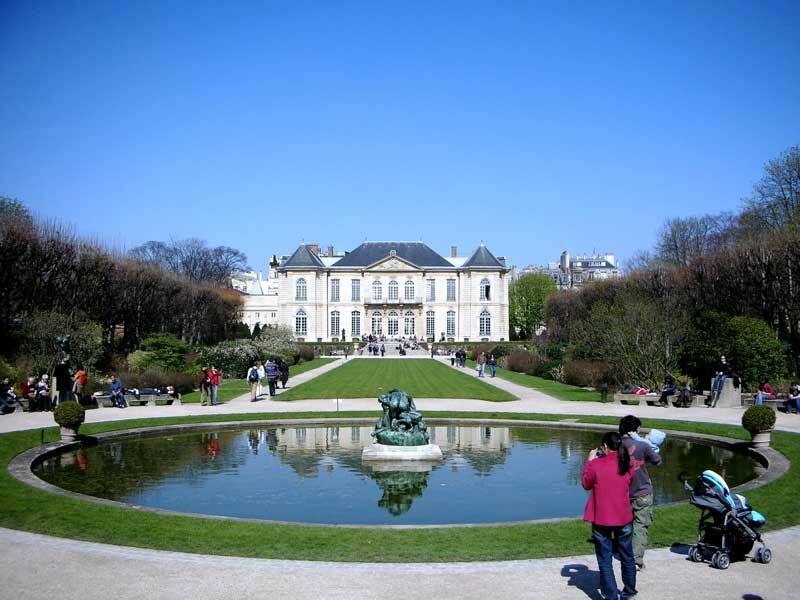 Before going to the Eiffel tower, we visited the Mus�e Marmottan in the 16th. On our first weekday here in Paris, we had to plan out our museums because some are closed on Mondays and the Louvre on Tuesdays. 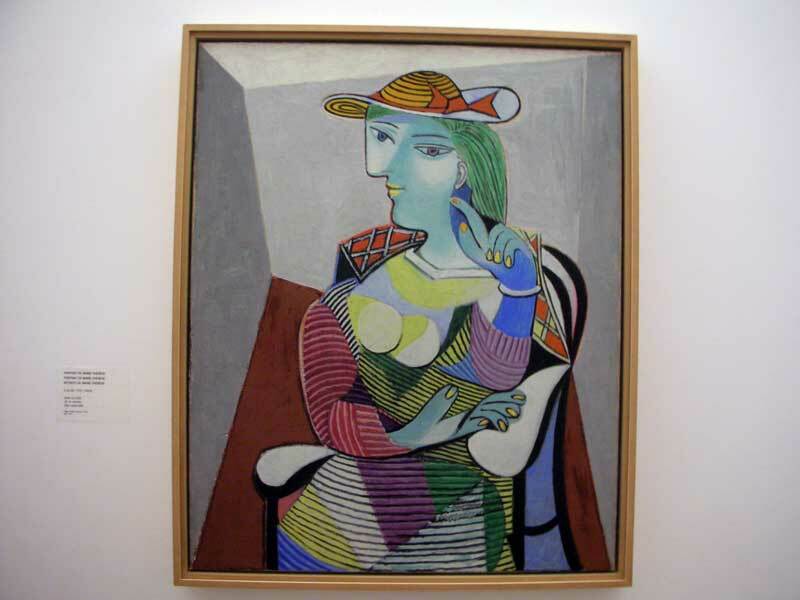 Le Mus�e National Picasso is my second favorite in Paris. I try to always go when I come to Paris, and each time I am amazed how talented and prolific Picasso was. One thing I'd love to import from Paris is that most museums are free on the first Sunday of the month. For the first time, after three days of rain, we had clear, blue skies. It wasn't terribly warm, but we were happy that the sun was out so that we wouldn't have to drag our umbrellas around with us.